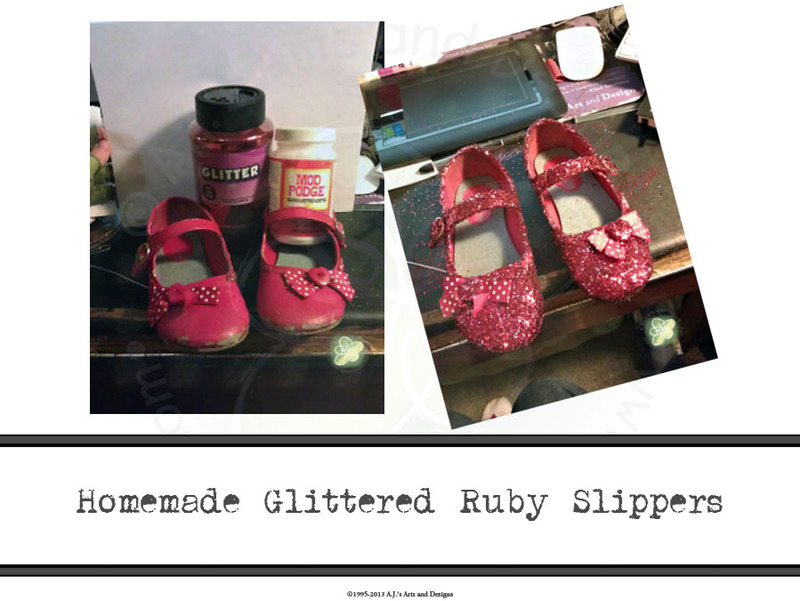 Homemade Ruby Slippers | Who Are You Calling Crafty? I have been creating Halloween Costumes like a crazy woman. 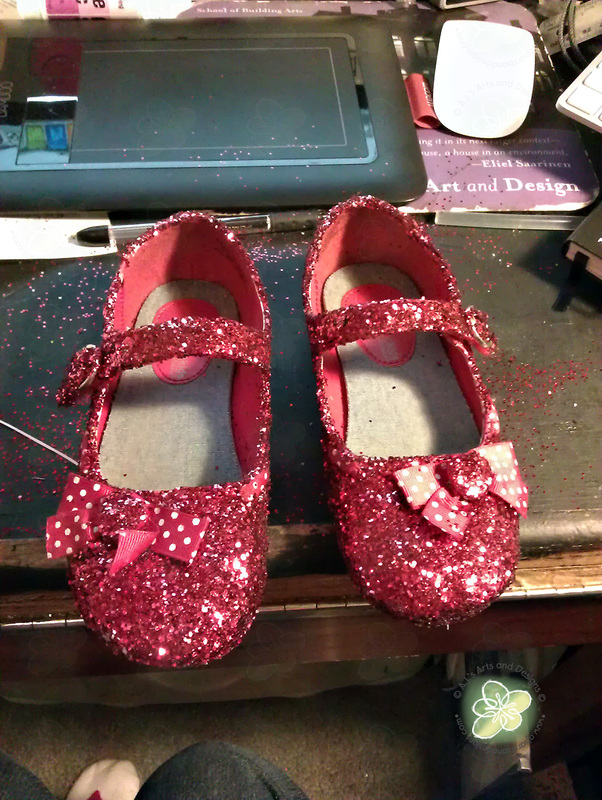 The Princess is going to be Dorothy for Halloween this year. My mom found her an authentic Dorothy Dress at the Goodwill Store (I think it was $4.00) but she couldn’t find shoes. 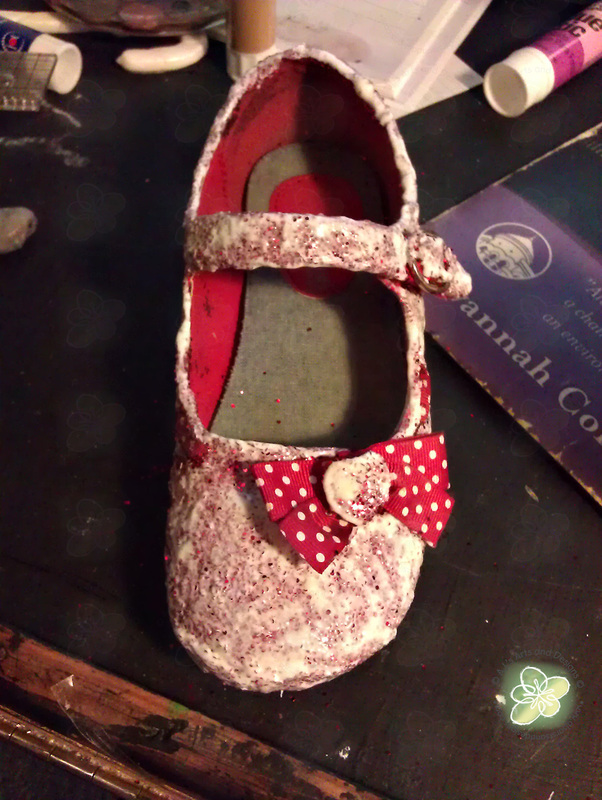 The princess had a pair of red dress shoes that were a tad beat up (okay really beat up the sole was separating from the shoe but no holes just needed to be glued.) 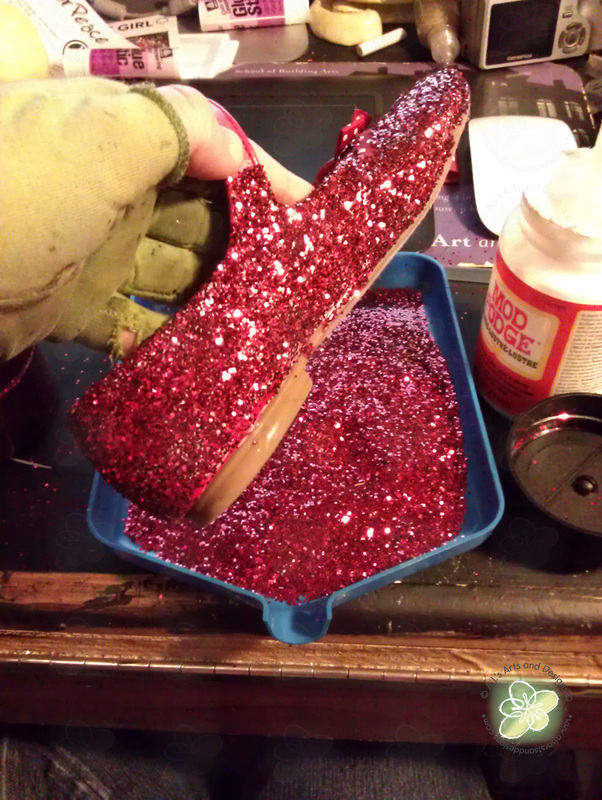 I mentioned the shoes to my mom and said I just needed to buy Glitter. 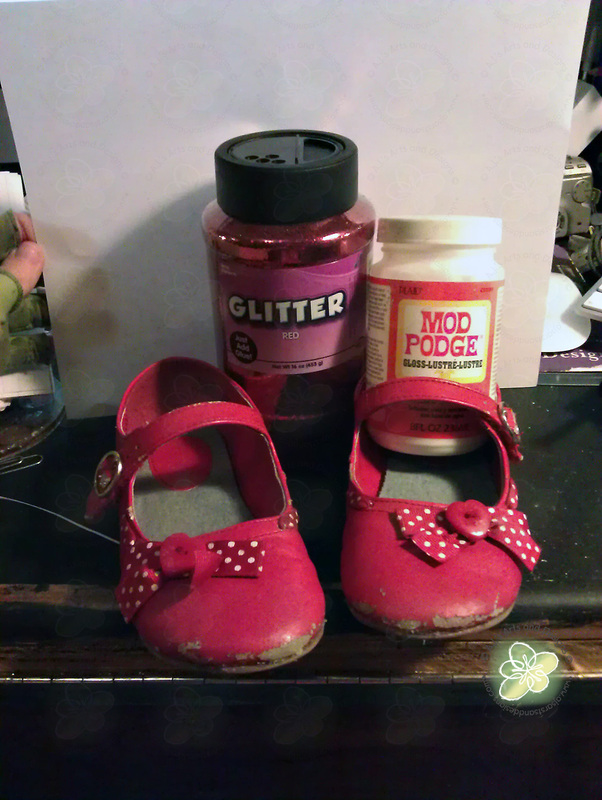 My mom knows me and she also knew I would NEVER purchase the glitter to make the shoes work. 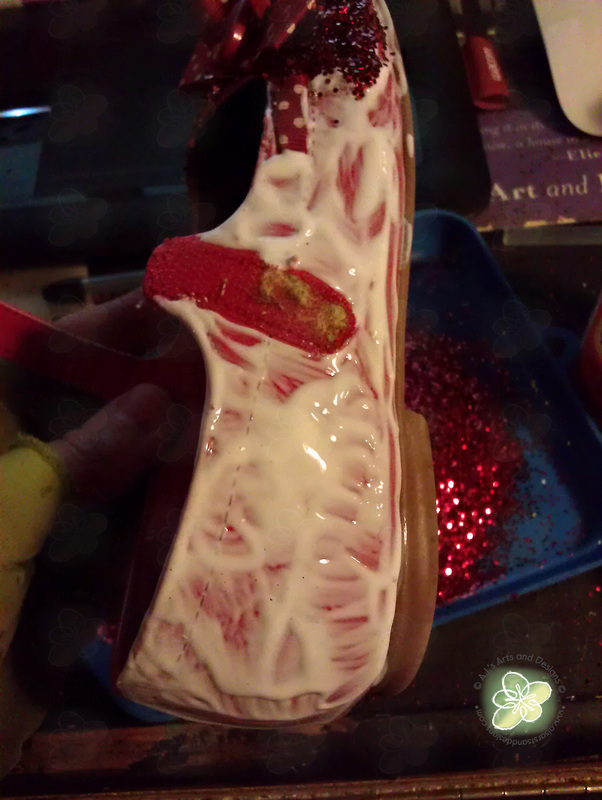 My mom calls me and says the small bottle or big bottle for the glitter, I said big (thinking an 8oz container). I received the box and open it the jar of glitter is the size of a Mason jar. I would like to state I had no idea glitter came that large. I am calling that jar Glitterzilla – it is HUGE! 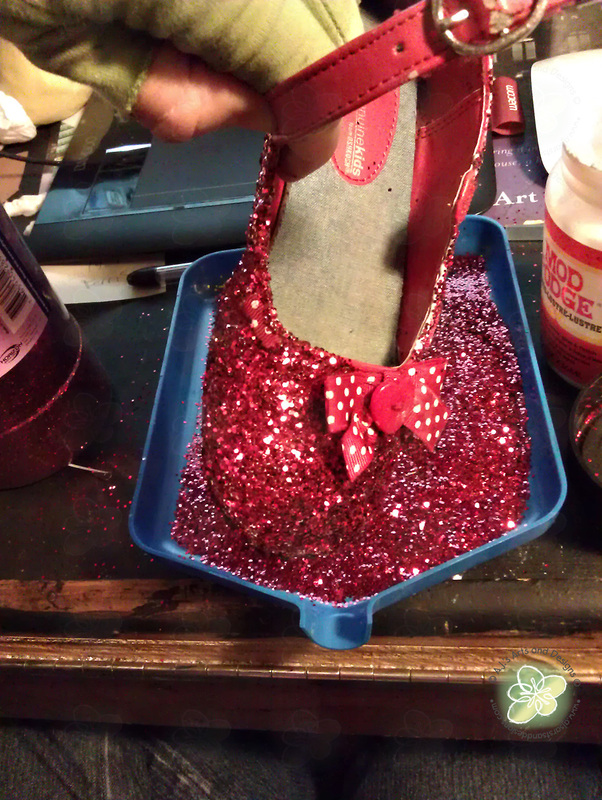 Once I had Glitterzilla and the Princess saw it I had to glitter her shoes. 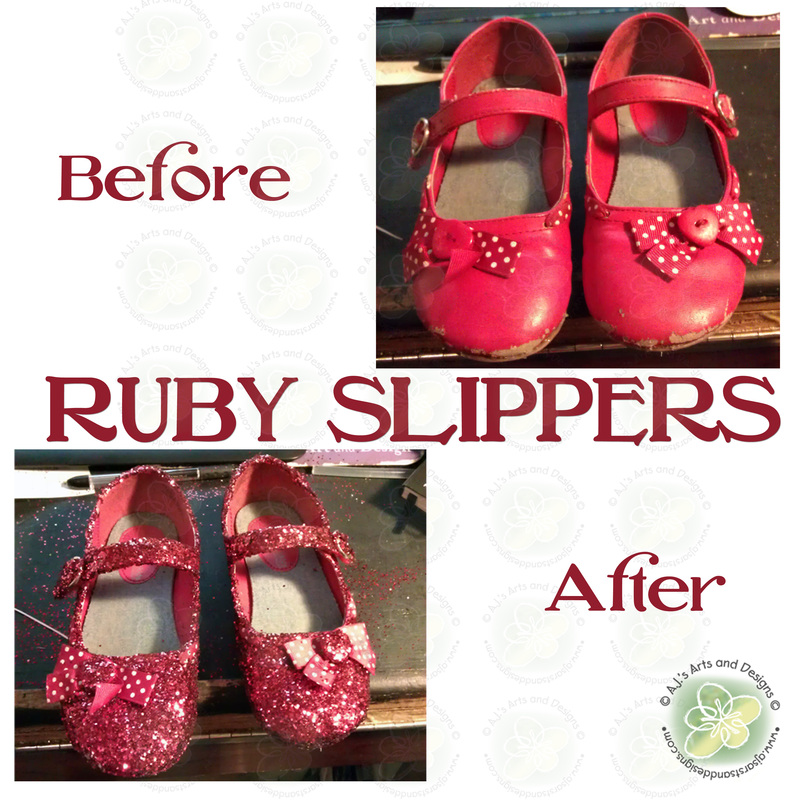 Finished shoes! Boy do they glitter!